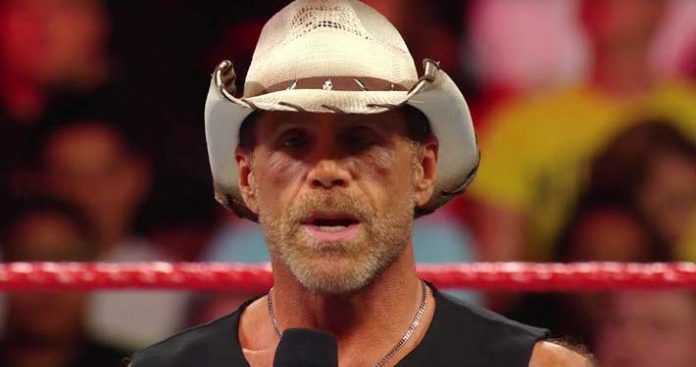 There are rumors of WWE Hall of Famer Shawn Michaels working at least one more match besides the expected tag team match with Triple H against Kane and The Undertaker at WWE Crown Jewel in Saudi Arabia on November 2. There is talk of doing a huge singles match with Shawn at the Survivor Series pay-per-view in mid-November, according to the @WrestleVotes Twitter account, which has broken several scoops in the last year or so. Word is that Shawn vs. Taker in a singles match is being planned for the big event at the Staples Center in Los Angeles on November 18. Taker was announced this week for an autograph signing the night before Survivor Series outside of Los Angeles. The report adds that some in the company want the match to take place at the 2019 Royal Rumble pay-per-view from Chase Field in Phoenix, Arizona. Shawn has been retired since losing to Taker at WrestleMania 26 in 2010, also in Phoenix. The planned match with Taker at Survivor Series or Royal Rumble would be Shawn’s first singles match since 2010. As we’ve noted, Shawn will be in Triple H’s corner for the match against Taker at WWE Super Show-Down in Australia on October 6. Kane will be in Taker’s corner and word is that this will lead to The Brothers of Destruction vs. Michaels and Triple H at Crown Jewel.